Surabaya, March 29 2019 – Wuling Motors (Wuling) further strengthens its position in East Java automotive market with participation in GIIAS Surabaya 2019 which starts from March 29 to April 7, 2019 located in Grand City Convex, Surabaya. Collaborating with PT Arista Jaya Lestari, PT Putra Perdana Indoniaga, and PT Berkat Langgeng Sukses Sejati, Wuling displays its flagship MPV line and newest SUV product at booth N which has an area of 154 square meters. “We participate again in GIIAS Surabaya 2019 by bringing along a variety of products that have been marketed in the country. Supported by the spirit of Drive For A Better Life, together with partner dealers we strengthen our commitment through the presence of our MPV products and our first SUV that carry the concept of Smart Technology SUV, WulingAlmaz in this exhibition. Besides presenting many choices, we also invite visitors to be able to try the sensation of driving with Wuling products,” explained Zia Ul Rahman as Regional Sales Manager of East Java Area Wuling Motors. Carrying the theme of ‘The Future is Now’ at GIIAS Surabaya 2019, Wuling presents a series of products that are equipped with modern technology and answer the needs of consumers. Starting from the Confero series, The Real Spacious Family MPV has won various awards such as the Indonesia Car of the Year 2017 in the Small MPV category from Mobilmotor Magazine, OTOMOTIF Award 2018 Rookie of the Year, and ICOTY 2018 as Best Value For Money. Then, Cortez, The New Choice of MPV won the title of Best Medium MPV in ICOTY 2018 by Mobilmotor Magazine and also Best of Medium MPV Gasoline OTOMOTIF Award 2019. Then not to miss, Almaz, the Unlimited Way Drive which is Wuling’s fourth product, was also exhibited during the exhibition. Attractive offers are also prepared for the visitors to GIIAS Surabaya 2019. For consumers who make purchases during this exhibition, they have chances to take part in lucky dips with various prizes such as smartphones, tablets, various electronic devices, gold, shopping vouchers and more. Of course, the terms and conditions apply. 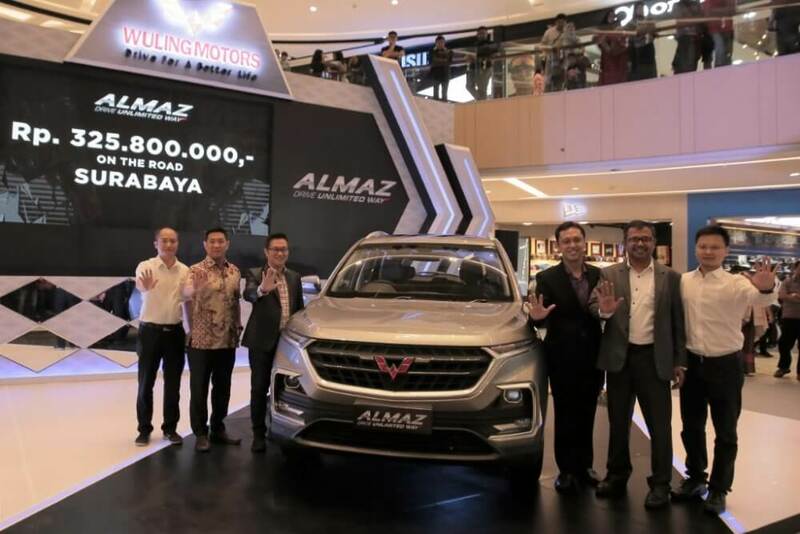 “This is the third time Wuling has participated in GIIAS Surabaya and on this occasion we present the Confero, Cortez and Almaz. With the presence of a complete product line, we can provide choices that suit the needs of consumers in the East Java region,” said Yudi Irawan Wijaya, Operational Sales Director of PT Perdana Putra Indoniaga. For additional information, Wuling currently has five official outlets operating in the Surabaya and surrounding areas. 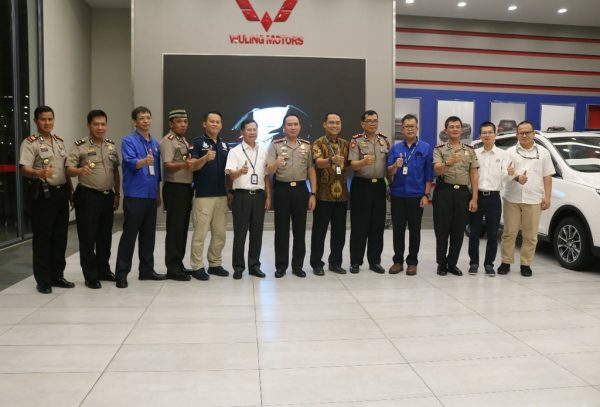 Consisting of Wuling Arista Surabaya HR Muhammad, Wuling Arista Tunjungan, Wuling BLESS Basuki Rahmat Surabaya, Wuling Perdana Sidoarjo, and Wuling Perdana Gresik.